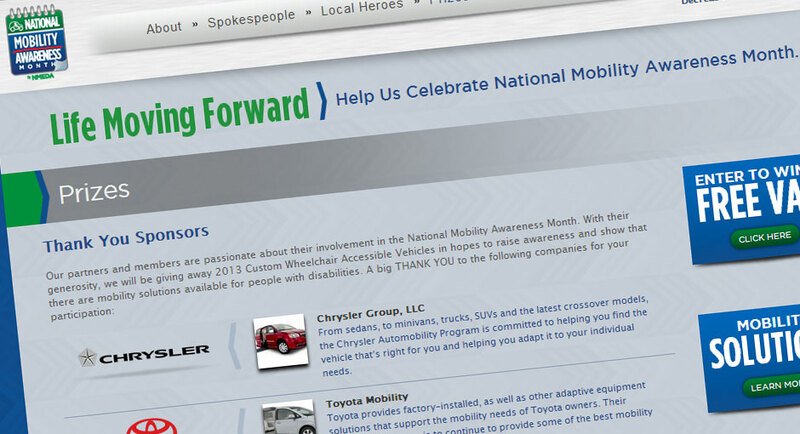 NMEDA decided to celebrate the second annual Mobility Awareness Month with a repeat of the successful contest they held last year where three ordinary people who suffer from a disability were able to win a fully equipped accessible vehicle to aid them in their active lifestyles. 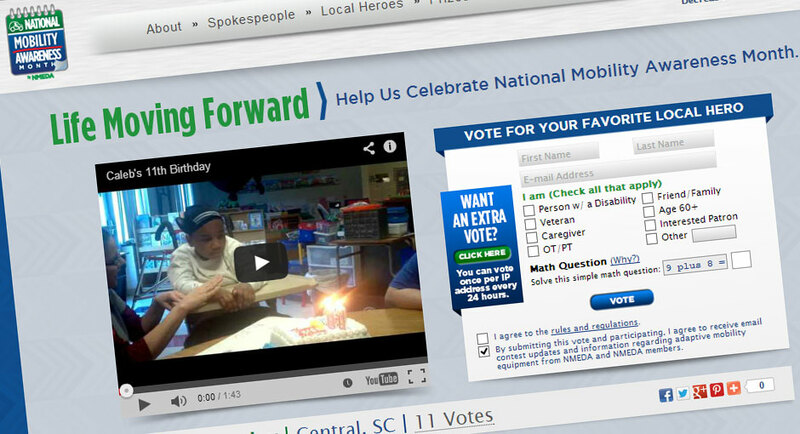 In order to facilitate the contest for 2013, a rebuild of the site from the previous Drupal platform to a new streamlined WordPress platform was needed, as well as various improvements and implementation of “lessons learned” from the 2012 contest. We developed a custom WordPress theme that featured a gated contest page which changes based on the stage of the contest currently in progress. 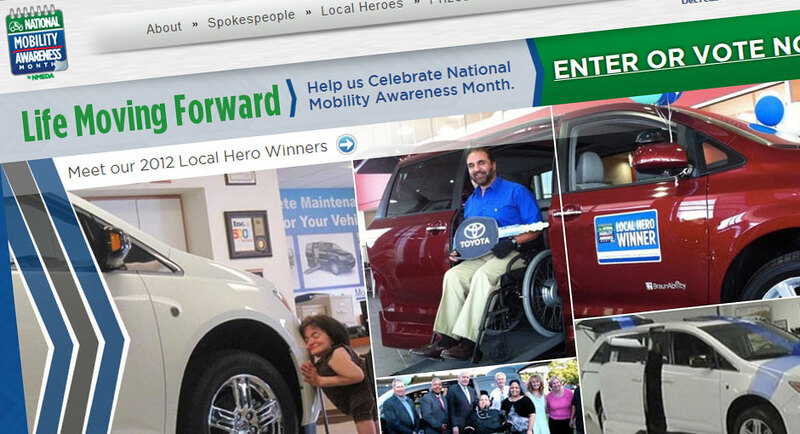 During the contest entry phase, a custom entry form is displayed with rich media capabilities and extensive validation. 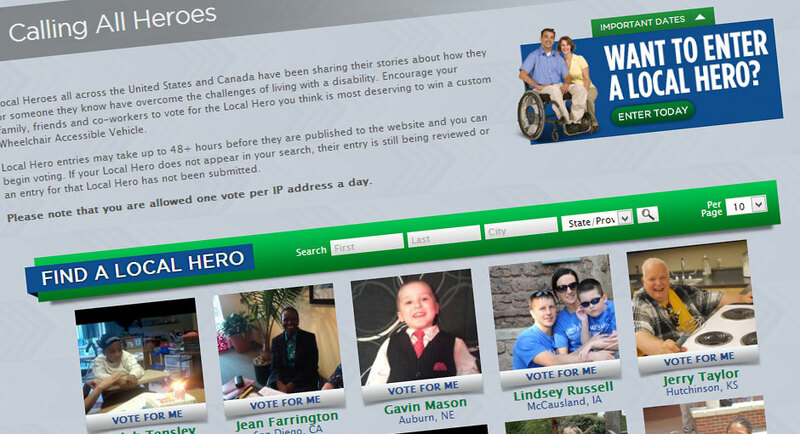 During the contest voting phase, a searchable contest entrant database is displayed and contest entrant profiles are available for viewing. Voting restrictions and bonus voting points were implemented.